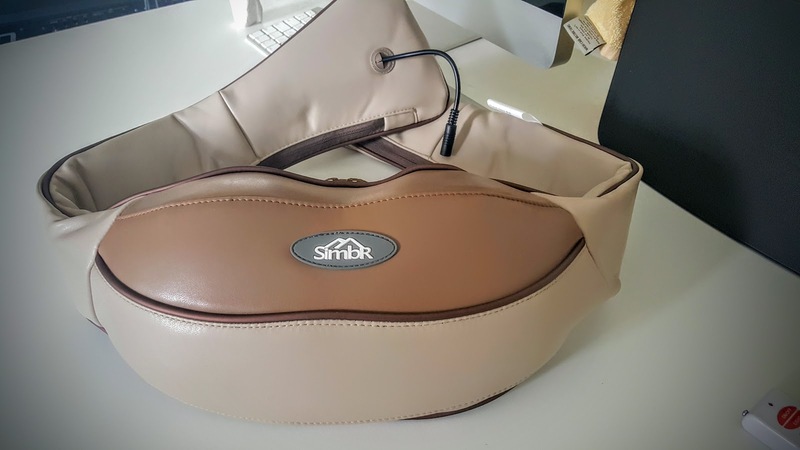 Usually products may not looks like the pictures in product page, but this massager is exactly the same - Clean looking and functional as shown in pictures. Only one draw back, I'd say - you need both your hands to insert into the sleeves to get this fixed in the position. 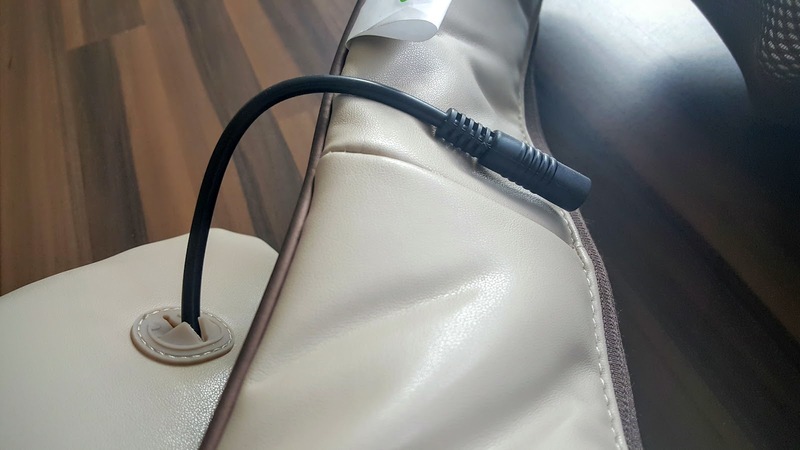 But if you are good in doing slight tweaks, you can always attach a removable strap through the sleeves to keep it fixed without the need of hands. 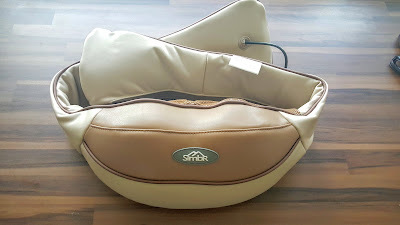 On shoulders and around neck this kneading massager works more effectively. 8 Massage heads rotating with heat gives a real relief, at least in my case after sitting in front of PC for long hours. Added bonus is not to annoy other half begging for a massage - but definitely not a full replacement of professional massager. 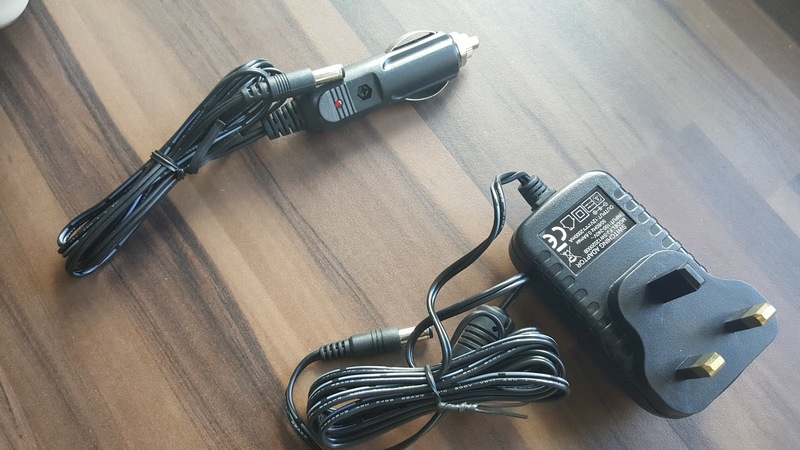 Comes in the box, the fully assembled massager and a AC adapter / Cigarette plug adapter for car. It has 8 rollers that can move clockwise or anticlockwise with heating. 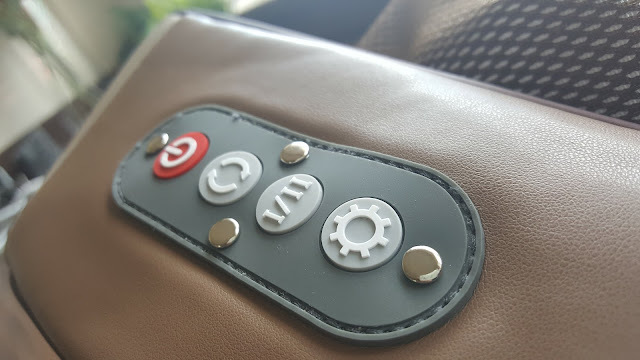 There is settings for different speeds or heat switch on or off. I think the designers mainly focussed on neck and shoulders, but usable for lower back and legs as well. I mainly use it whilst driving or too tired after sitting on work desk for a day or longer hours. In my experience this is very effective. 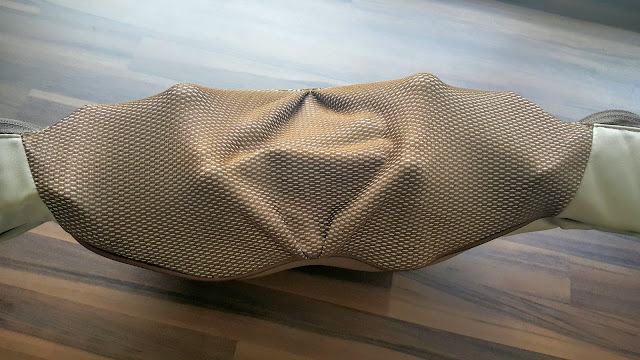 I suffer from severe back and neck pain, this is helping me a lot. 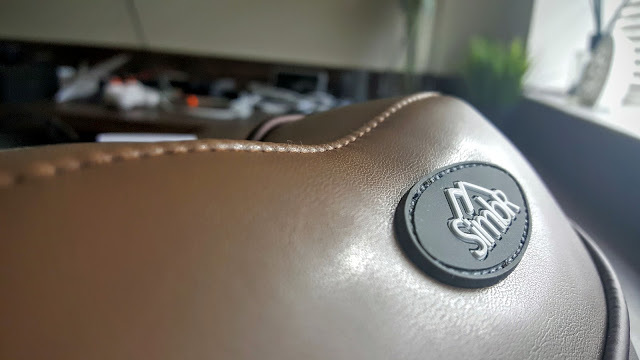 The outer material is faux leather in beige colour, that may get dirty after a while, but I'll come back and update the review if that happens, or if wish you can ask in comments section below. 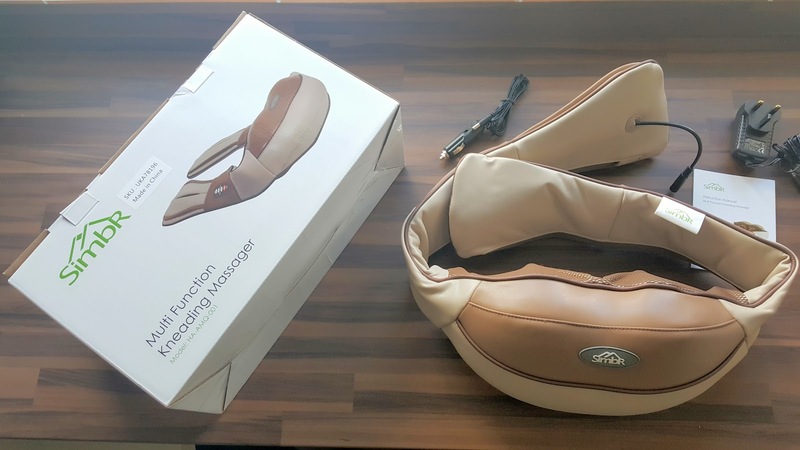 Overall a great, well designed and effective massager, please do check out pictures for a closer look.